Sean Dwyer started swimming at the age of 7 when his mother got sick of listening to him and his younger brother, Owen, fight in the stands during his older brother’s swim practice. Fast forward 10 years and swimming’s become much more for him. Sean Dwyer, now a 6-6 senior at Prior Lake, won the Class 2A 500-yard freestyle title at the state meet last season. He also placed second in the 200-yard freestyle behind Chanhassen’s then-senior Jack Dahlgren, who broke the state record in that race. Going into his final Class 2A boys’ swimming and diving state meet, which runs Thursday through Saturday, the 17-year-old Dwyer is one of the favorites in both events. 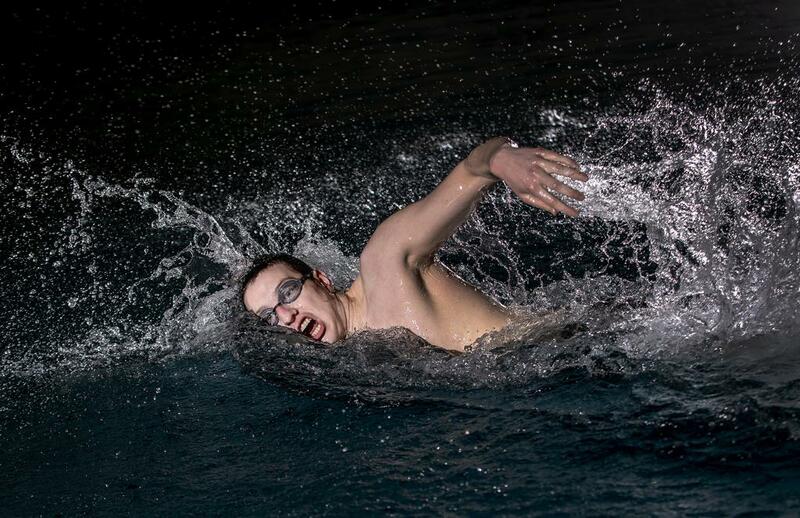 He finished first in the 200-yard freestyle and 500-yard freestyle at the Class 2A, Section 2 meet last weekend. However, he knows winning again won’t be easy. Most of the swimmers he shared the podium with last season are coming back. If expectations brought on from last season weren’t enough, Dwyer dealt with recovering from a lengthy recruiting process and workout regimen in the fall. He took five official visits and one unofficial visit during that time. In previous seasons he trained much more with his club team, the South Metro Storm. He committed to Army West Point later in the fall, and he had to pass a fitness test so he could attend next year. Dwyer said he might have overtrained to pass the fitness test for West Point, giving him a bit of difficulty getting back into swimming shape. Dwyer’s brother Colin, who swam at Prior Lake with Sean, is a sophomore at Air Force where he runs track and cross-country. The family doesn’t have much military service history, but the two older brothers chose to pursue athletics while serving in the military. Youngest brother Owen is an eighth-grader on the Prior Lake swim team with Sean. Sean Dwyer is one of five seniors on the Prior Lake team. Thirty-seven of 50 listed on the roster are sophomores or younger. Dwyer also will compete in the 200-yard relay and 400-yard relay in state, where he is the only graduating swimmer on each group.